African black soap, also known as Anago Soap, Alata Simena or Ose Dudu, is a traditional, rough looking soap handmade by several west african tribes. it has been used for centuries to naturally treat various skin conditions such as acne, oily skin, eczema, rashes and hyper-pigmented or blemished skins. There isn’t an “official” recipe for black african soap, because the tribes use whatever is available where they are and it changes from area to area. The exact recipes from each tribe are closely guarded secrets passed from generation to generation. It’s widely believed that most recipes include roasted plantain skins, cocoa pods (the shells of the cocoa fruit) and, most often than not, also palm tree leaves, shea tree bark and unrefined shea butter. Traditionally, the plantain skins, cocoa pods and other ingredients are sun dried and than carefully baked in clay ovens. The ash from all that burnt plant material is the source of lye. When mixed with vegetable oils — such as coconut oil, palm kernel oil and palm oil — it saponifies and becomes a soft, malleable soap. There are tons of imitation black soaps on the market. 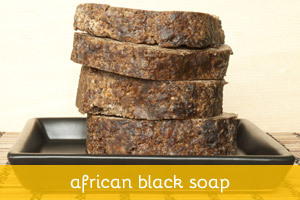 Although they claim to be true African Black Soap, they are nothing but vegetable based soaps that have been dyed black. 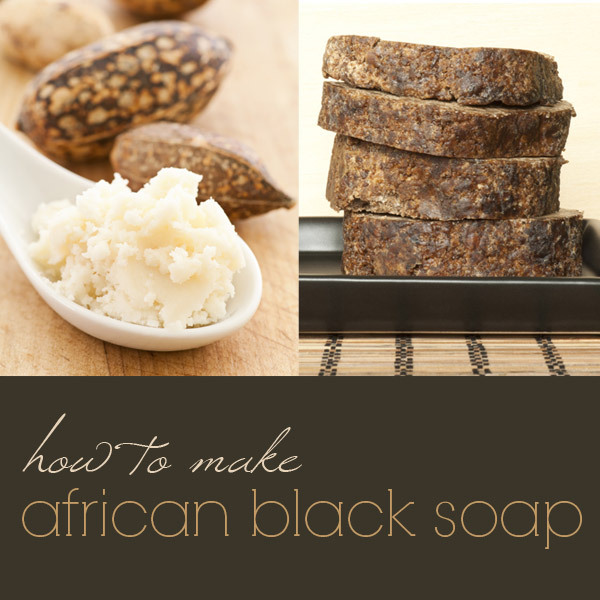 Real african black soap is soft and malleable, while fake black soap is hard. It does not contain any traditional ingredients. Instead, it is loaded with cheap, chemically processed vegetable oil and stains your wash cloth. Unfortunately, without the closely guarded knowledge from those tribes, it’s not possible for us to make real african black soap. But we can try and make a reasonable approximation that, while not the real thing, will still be pretty great soap. 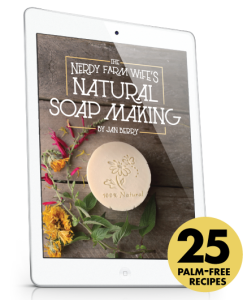 We know traditional black soap is made with a combination of coconut oil, palm kernel oil, palm oil and plenty of raw unrefined shea butter (at least 45 percent of the oils, according to this book) — so that is what I would use. *I have no idea how much to use, so I’ll just set apart a little bit of melted oils and add one teaspoon of this mixture at a time until I get a similar color and consistency of the mixture Roberta uses on her video. I can’t stress this enough: I haven’t made this recipe yet so I don’t know if it will work. If you want to try it anyway, you are free to do it on your own risk — just please run it through a lye calculator first and see if you want to adjust anything. And let me know how it turns out! 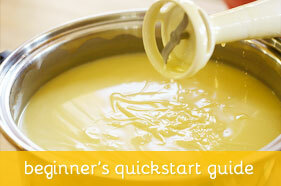 For this recipe you don’t need commercial bought lye. 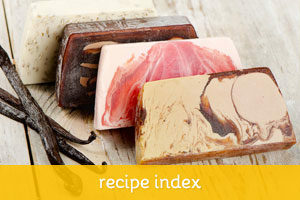 You get the lye-water when you mix the ashes formed from roasting the cocoa pods, the shea bark and the plantain skin. It’s pretty much the same process our forefathers used when making lye from hardwood ash. See directions and notes over at her post.